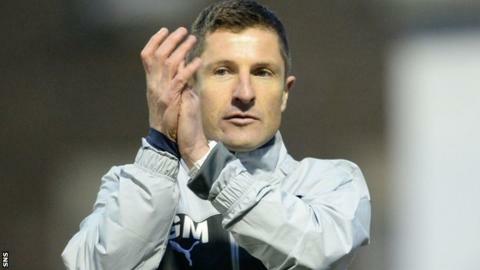 Raith Rovers manager Grant Murray has agreed a new contract keeping him at Stark's Park until the summer of 2016. The 38-year-old former Hearts and Kilmarnock defender took over in July 2012, stepping up from his playing duties to replace John McGlynn. Assistant manager Paul Smith and coach Laurie Ellis are also staying on for the same period. Third in the Championship, Rovers have also revealed a profit of £81,350 for the year ending June 2013. Turnover at the Kirkcaldy club is up 18.3% to just over £1m, while total costs were reduced by 4.5% from the previous year. The Fifers have no bank debt but have outstanding loans amounting to £450,000.